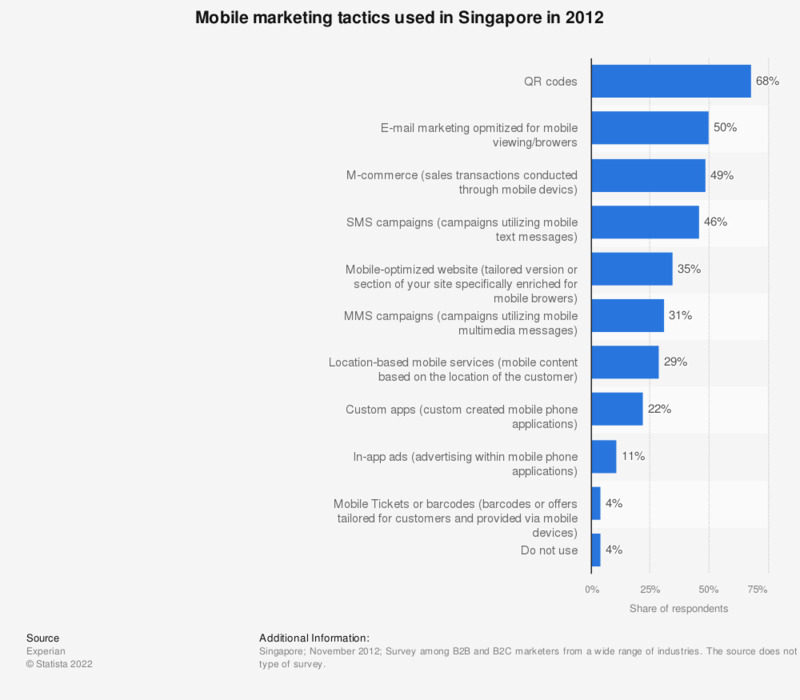 The statistic presents the mobile marketing tactics used by marketers in Singapore as of November 2012. During the survey, 35 percent of the marketers stated that they used mobile-optimized websites. Survey among B2B and B2C marketers from a wide range of industries. The source does not provide informations about the type of survey. Survey methodology was partly taken from here. Statistics on "Mobile marketing in the U.S."
Would you say it is okay to be shown adverts as long as content is free?